The 5 Best Genre-Defying Albums Of 2010 Most albums fit into preconceived categories like rock, jazz, classical or hip-hop, but WNYC's John Schaefer doesn't just listen to those kinds of records. The host of Soundcheck highlights five albums from 2010 that played by their own rules. Hear the best rock, pop, jazz, classical, blues and undiscovered music of 2010. Some of the most compelling music being made today comes from the increasingly blurry boundary between indie-rock and contemporary classical music. This is not a new phenomenon -- rock fans were among the earliest converts to Philip Glass's music in the early 1970s, for example; Glenn Branca's symphonies for adapted electric guitars and Frank Zappa's turn to composed music later in his career also set the stage for what's happening today. But what's happening today is a rise of interest in instrumental rock that's more about texture and sonic exploration than three minutes of disposable pogo-ing fun, as well as a new look at the song form -- especially at the song cycle. In the old days, we would've called these "concept albums." 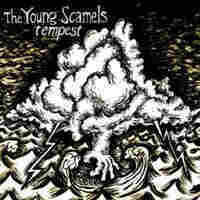 Now, we're throwing around terms like post-rock or indie-classical. Basically, we're talking about musically literate (i.e., able to read and write classical music notation) singers and players who grew up with and still play some form of rock music. The result is a convincing blend of styles. Actually, no -- it's no longer a blend of styles at all. It's something new, something distinct and original. And it's some of the most provocative and exciting work of the year. Clogs is an oddly constructed, award-winning chamber ensemble, consisting of guitar, bassoon, percussion and violin-doubling-keyboard. But it is also a "sister group" of the top-shelf indie-rock band The National. Guitarist Bryce Dessner tends to play electric with the rock band, more acoustic with Clogs; vocalist/violinist/keyboardist Padma Newsome is part of The National's touring lineup and guests on most of its albums. While Newsome has occasionally contributed songs to past Clogs albums, here he created an actual song cycle, written while in residency at the Italian island estate of Sir William Walton, the great English composer. The songs are mostly lyrical, with often subtly complex rhythmic underpinnings, and a guest list of indie-rock royalty that includes vocalist Shara Worden (My Brightest Diamond), Sufjan Stevens and Matt Berninger (The National), whose gloomy baritone is perfect for Newsome's "Last Song." 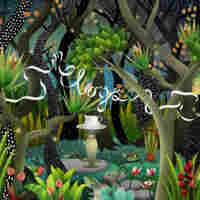 By turns wistful and playful, the album is one of the most evocative and appealing records of the year, in any genre. One of the first post-rock/indie-chamber bands was the group Rachel's, out of Louisville, Ky. That group stopped playing a few years ago (after a New York concert where it was paired, in fact, with Clogs), but the central players in Rachel's were asked to create a score to a local production of Shakespeare's Tempest. Fans of Rachel's will revel in the combination of classical strings with a rock rhythm section, and most of the score features the sort of atmospheric instrumentals that made the earlier band so important. But Shakespeare wrote several songs into this play, and those are deftly turned out here by guest vocalists Amber Estes (Liberation Prophecy) and Kyle Crabtree (Shipping News). "Full Fathom Five" is probably the most famous of these, and here features several layers of Estes' voice over a gently propulsive ensemble. 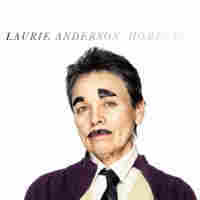 In her long and singular career, Laurie Anderson has never sounded quite so pointed, and perhaps so dark. From the ominous album title to the meditations on where the American dream has gone wrong, this is a record with an edge finely honed by contributions from husband Lou Reed, Kieran Hebden (Four Tet) and John Zorn. Anderson's trademark wit is still here, but the comic elements, when they appear, are black indeed. Having said all that, this is as accessible and rocking a record as Anderson has made in 25 years. Whether singing, speaking or doing that in-between thing she does, she is in great voice, and the production sounds awesome. At times, Anderson uses the processed quasi-male voice that in earlier times she called the Voice Of Authority, but which Reed has now rechristened with the name Fenway Bergamot. 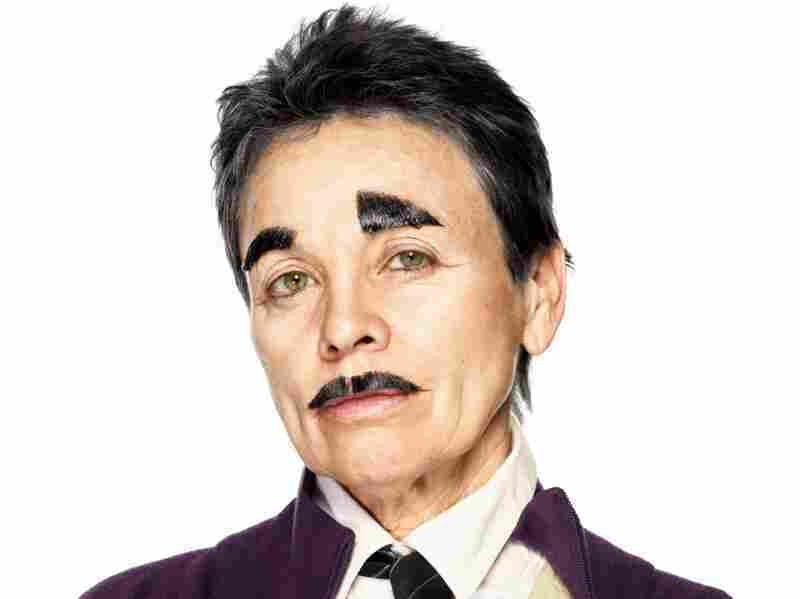 (Anderson appears in reverse-drag on the album cover in her Fenway alter-ego.) This song, "A Dark Time in the Revolution," is a gentle, sad, stinging indictment of a group of people who've lost the plot. Snider has taken a fascinating idea from playwright Ellen McLaughlin and turned it into a song cycle that works on several levels. A woman opens her front door to find her lover/husband back after 20 years in an unnamed war, unable to remember who he is. Her therapy, for both of them, is to read Homer's Odyssey to him as they wait and hope for his mind to heal. Yet another indie-classical song cycle featuring Shara Worden, Penelope deals with big ideas -- memory, identity, "home" -- but it's also an intimate portrait of a woman who, like Homer's Penelope, is confronted with finally getting what she's wished for. The top-shelf new music ensemble Signal, directed by Brad Lubman, is equally at home with the electronics and electric guitars of the score as the conventional acoustic instruments. Alternately intimate and dramatic, "This Is What You're Like" is a good example of this lovely and colorful score. 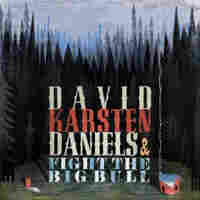 Singer-songwriter David Karsten Daniels takes some fragmentary poems sprinkled in and among the writings of Henry David Thoreau and sets them to joyous, expansive music with the Richmond, Va., post-jazz ensemble Fight the Big Bull. Little bursts of imagery from Thoreau, sung in Daniels' high, reedy tenor, soar over the almost orchestral harmonies of the band's massed horns. The combination of poetry, singer and ensemble is entirely unexpected, and could easily have resulted in a mess. 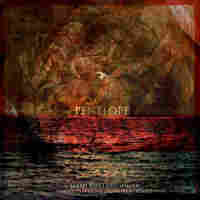 But nothing feels forced, and "All Things Are Current Found" offers a big sound in a relatively small package.